" T E L L M E . D O Y O U B L E E D ?
. 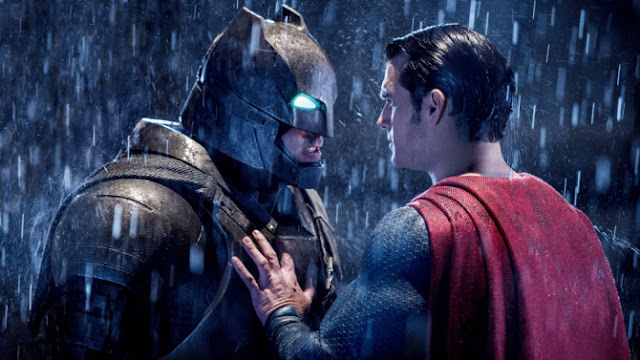 . . Y O U W I L L . "
I caught a sneak peek of Batman v. Superman late Wednesday night. Excitement rose with a Batman symbol embroidered across my chest and heart on my sleeve. After nearly three hours in the dim theatre, I released my friend's hand as credits rolled. Staring at the black screen amidst the leaving audience, we sang praise. Not for the film itself, but for all the analysis we whispered throughout it. I'll keep my lips silent from an actual straightforward review. Rotten Tomatoes has got that covered. Instead, I want to focus on what excited me the most. Apart from Henry Cavill's chiseled face, Henry Cavill's sculpted physique and Henry Cavill in general. Batman v. Superman might not be a great film but it is a great Christian allegory. Batman v. Superman stars Ben Affleck, my future husband, and Henry Cavill, my other future husband. 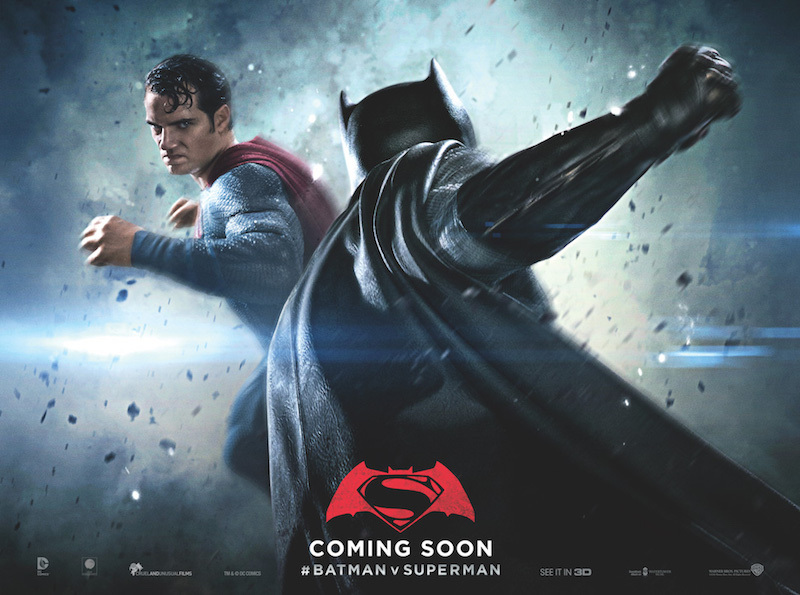 They battle each other as Batman and Superman in a Synder film that tries too hard to be a Nolan. Almost too dark and grim for its own good. A messy masterpiece. Yet I still stuck to my seat. From the first scene, the religious imagery ran blatant. Each detail in each scene portraying some meaning supposedly significant. Though, I'm unsure if Synder knew what it meant. One thing is certain the film wants to convey. Italicised and bolded for emphasis. Because that's what the film does. Enforces, stresses and outright slams the symbolism into every frame. An overstuffed attempt to be both religious and sacrilegious in its cinematography. Superman has always symbolised Jesus Christ. Especially in recent comic lore. A physical god from the sky, acting as a messiah to prove the goodness of humans. Snyder is aware of this, and repeats it to the audience at any given moment. Lines of angels, devils and false gods thrown in dramatic folly. Superman's figure raised in holy visage. This subtext is now overt. Which leads to an intriguing metaphor, if we believe Batman represents humanity. It truly is Man versus God. Batman is Human. 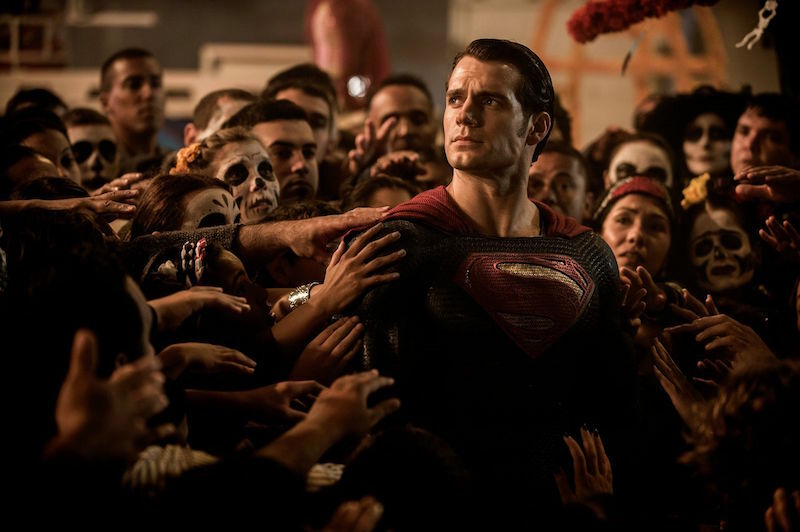 Growing jaded and cynical of Superman's good intent in a bleak world. He has seen Superman's capabilities in Man of Steel. He is cautious and concludes what many think. A God without, is better than a God against. He is an extreme nonbeliever, who thinks humanity is at its best without a God. And perhaps he's right. 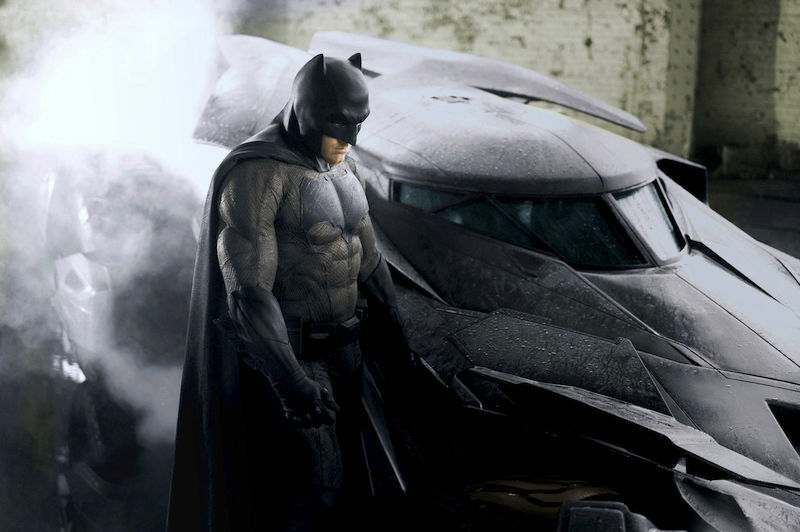 Neither Batman nor Superman are cast in negative light. Superman is clearly on the side of good but Batman's hatred towards him is justified. Wherever Superman goes, death follows. Thus Batman takes it upon himself to be judge, jury and executioner of the world. There is no need for a Superman. 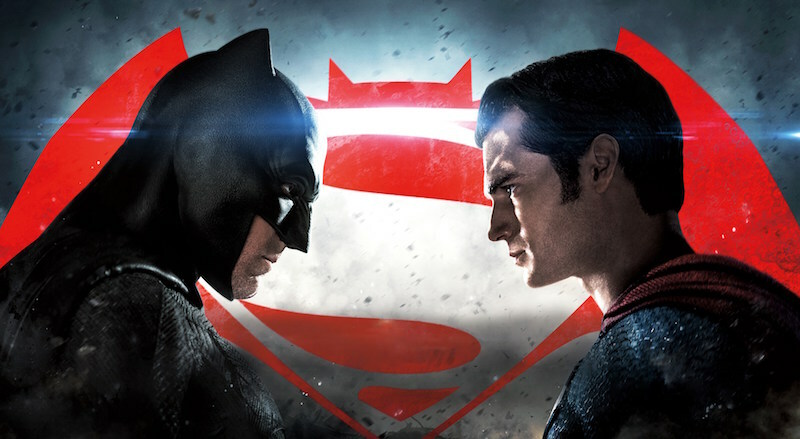 Batman v. Superman's true battle is not between the two superheroes, but what they stand for. A philosophical rumination about the struggling relationship of Man and God. A human's disdain for God's actions even if they are, theoretically, good. And so Batman denounces the idea one must follow a power because he is powerful. With hope he won't use these powers against the masses. Perhaps the film is about the conflict of man's faith, questioning an omnipotence's intentions for a world gone dark. Or maybe it's just a cluttered popcorn flick, with a lot of action and explosions with no real meaning. You decide. Batman v. Superman is not a great film. It tries to be grand and succeeds as often as it fails. Often, it's slow paced and littered with plot holes. Visually appealing but logically void. Yet it still demands to be watched. I still say watch it because you will. It's Batman v. Superman! One of the most hyped films of the decade. The allegories played throughout the film can be ireimagine into all sorts. Imageries galore slammed so hard so you can make your own interpretation. So while it may not be a perfect film, it does leave thoughts swirling in your head. Or maybe I just miss studying literature and desperate to analyse another story. So have you watched Batman v. Superman? What did you think of it? Fun to read your thoughts. Sounds like a good one!! I haven't watched it yet, but I will for sure. Even if it is just a nice pass-time. But I can imagine it being way more fun with your analysis in mind. Very interesting! I haven't seen a Batman or Superman movie in SO long but I think I just may check this one out! This was so deep and interesting! I've never stopped to think this movie like that but this makes a lot of sense, and now, when I see it I'll probably be thinking about you, I'm super excited to see it for myself!! I've been contemplating whether I should watch this in cinemas or not, I think I will just because I've been so excited for it! I have not see this and had no plans to since I'm not much of a fan, but this is a really interesting interpretation. You 're making me want to see it just to see your analysis of it. Though I'll wait till it comes to cable or Netflix. I can't wait to watch this. It looks so good! I haven't seen this and not a huge fan of action movies shame on me. Will I go to see this though? Absolutely, have to bring my daughter anyhow. So I'll enjoy some popcorn and mommy daughter time while not so wholeheartedly staring at the screen. Would you believe if I say I've NEVER watched any superhero movie? Though I've seen a lot of superman cartoons when I was a kid. I even tried to dig into batman's background cos one my crushes was obsessed with him (DARK MYSTERIOUS BOY HE WAS) My friends are having long long long debates on this movie on Facebook and it's making me curious. But I am insanely excited about the upcoming superhero movie suicide squad even if I have 0 knowledge of all the bad guys starring in it (I'LL GOOGLE THEM) but the idea of villains saving the world is just too appealing to me! Oh bloody hell Bash. I don't like how much you are making me think on a Sunday night! I've heard a lot of bad things about this film so I'm quite unsure about going but you've given me a lot to think about if I do. never thought you could get a meaningful take on this movie. i have yet to watch it obviously, but those words/metaphor you have is beautiful! :D will definitely have this in my thoughts as i watch it sometime! I'm not too sure how I feel about Batman Vsing Superman (maybe I'm just out of the loop??? lol) I do love analysing the crap out of movies though you gain so much knowledge and perspective. I'm not really all that excited for this movie however Suicide Squad couldn't come out fast enough! Although I am not on the hype of this movie, this is a great review. Think I might be giving this one a miss haha. I just watched this movie 2 days ago and for someone like me who doesn't read comics or have a knowledge about DC super heroes, I found it as a pretty decent movie. Though my boyfriend said that there were a lot of things in the movie that is not in the comics. But I enjoyed the movie a lot. I agree with your analysis bash, as I also see that Superman was seen as a religious figure (Jesus Christ) cause it is so obvious that, with the thoughts of the way it is portrayed and it is good that someone sees it the same way as I do. I've no doubt I'll end up seeing this at some point, though I'm disappointed the writers have continued the idea of superman representing Jesus - I think sometimes comic characters are glorified to the point of it becoming uncomfortable, you know? Having said that, I have a feeling very few share that opinion with me haha. Brilliant review, by the way! Can't wait to see that movie!! I haven't seen it yet and honestly I'm not sure if I will see it. Not into Ben Affleck being Batman lol. But I did enjoy reading your analysis. Very good post as always. I'm loving your analysis of the film! I love seeing films in different perspectives other than what the normal person sees. I wanted to watch this movie but seems like everyone is giving poor reviews on it! Thanks for being so honest and candid in your review! This is such an interesting view on the movie. To be honest I don't know much about the storyline or anything about it really. I've only seen the trailer for it and have been pretty confused by it. Batman vs Superman? Why? Aren't they supposed to be "good guys"? I don't understand why they'd be fighting lol. But I love your analogy for this. Humanity vs Jesus in a sense. Makes complete sense to me now. Humans have an uncanny way of destroying everything, be it good or bad. I should be attending the pre screening of this movie but i didnt make it. I heard a lot of negative comments on this and I think somewhat are true. I love your side on this Bash. Wow, interesting thoughts! I have not heard good things about this film, but it is nice to read this analysis from a new perspective. Thanks for sharing! boy was I happy that there were no spoilers on this! hehehe :D such an interesting perspective to look at this movie! I have watched it and I must say your thoughts on this movie are very apt! That said I really didn't enjoy it. I shared a lot of the thoughts of the author when watching this film. More specifically than the ideals of god / no god it also deals with the secondary effects of god. The initial scene with Bruce wayne trying to get to his building is pure 9-11, another tragody soaked in "my god vs your god" analogies. It's literally a fight between two "god"s. Blaming 9-11 on the idealogy and not the people behind it is a damning but ever more popular stance in society. Fundamentalists aren't the problem, it's the absolutist beliefs that are to blame. And of course Bruce Wayne is only able to rise to the level of Superman through dedication (training) and itnelligence. Again an allegory for the amazing technological advances we have observed since the middle ages. With such knowledge and power at our disposal, why do we now need gods at all? I think this film has been slated because people simply have not looked closely enough or have simply not understood that it's more than a saturday evening's popcorn delivery background. It's reflecting on the basis of human morality and religion in general.